I have so many great ideas for my blogs but I keep not making time to write them! So…all I have been able to get written is another post for MSW online geared to those who are interested in social work or new to the field. However, being candid, I think even the older ones among us (meaning me) can use refreshers. Lightbulb! I do really hate it when people’s self-determination is taken away. In fact one of my pet peeves ( and oh there are many) is when people say “If I were them I would…” NO! If you were them you would make the same choice they made because that is where your path and experiences would lead. If you were confronted with the same situation you would make a different choice because that is what your values and experience have shown you. Anyway, please click on over and read this months blog. Wishes for tons of joy to come to you! June is almost over and I am just now getting around to my June MSW online blog post. Since it is geared for new social workers or those interested in being social workers I thought tips for helping a distressed client could be helpful. I think they are great tips. I use them regularly with clients. Hmmmm. That being said, I have done poorly using 4 out of the 5 tips with my work and personal relationships this past week. I guess I really do teach what I most need to learn. Hoping everyone is finding moments of joy each day! This is my contribution to MSWonline this Month. I actually have a couple of new blogs written for this blog but can’t seem to actually post them. Something to look forward to – or not! 🙂 Hoping you are all being the best you that you can be. Do you have what it takes to be social worker? Happy April everyone! It is a cold and windy day where I am. However, I have already switched out my closet to spring/summer clothes so it is Spring. I will wear spring clothes and adorable shoes I just bought because I am ignoring the weather. True Story. Also – I finished another blog for the page I contribute to. It is geared toward social work students and new grads. Check out how I did. I am a contributor to a blog that is for those entering or in the social work field. My first post is titled life is meant to be lived – not endured. I think the tips for living life can be helpful for anyone. Click on over and check it out! Thanks. Oh — And Happy Social Worker month to all of the social workers out there! It is a movie. I liked it. This is a little different from what I normally write but I noticed I was having an emotional reaction to people’s opinions regarding the movie American Sniper. One of the best ways to process an emotional response is to express it – so here I am. I read several blogs and watched a couple of video segments on critiques of the movie. Mostly negative and scathing. I kept wondering – “What movie did you all see?” Then I realized many of the segments started with “I didn’t see the movie and I don’t intend to…” Oh. Random Pet Peeve: Shredding apart a movie you have never seen. Go see it and then shred apart to your heart’s delight. It dawned on me that of course everyone takes something different from the movie. What we get out of a movie or music or art or a book is really about us and who we are. It isn’t about the movie at all, so in essence we all did watch a different movie. I will say out loud that I actually liked the movie. I was a bit dismayed to see that Clint Eastwood directed it because in the political belief world I’m pretty sure Mr. Eastwood and I are not only at opposite ends of the Spectrum, I suspect we are on different spectrums entirely. Of course – it doesn’t matter who created the movie – I often say if our beliefs won’t stand up when people question them – how solid are they to begin with. What did I get out of the movie? War is fucked up. Yep. That is it. War is fucked up. People are placed in fucked up situations. People are expected to do Fucked up things. Sometimes in the situation people will say and do even more Fucked up things. After they are done and go home – people are expected to go on with their lives and their families as if none of the Fuckedupness happened. That is what I got out of the movie. One complaint I have read several times is that the movie is too black and white. (Ironically actually, since many of the critiques of the movies were very black and white!) Complaints of the movie said it depicted that all Iraqis were evil and the Americans all good. Definitely a bit of that. One thing the movie did do was show how the one Iraqi had been an Olympic athlete, hinting that hey – these are just people too. Again – it is a movie. No movie no matter how excellent can cover each and every nuance of a situation. I suspect that the troops in country would necessarily have to have some type of black and white belief. Don’t tell me that people who choose the military are sociopaths. There are likely sociopaths at your work, in your neighborhood and even in the military. However, all the military people I have met are people who love their families, their lives and their countries. How would someone who has a conscience and empathy justify killing people if there wasn’t some distancing and some extreme good vs. evil thinking? Could you do it? It reminded me that as a society we often forget why soldiers struggle so much when they come home. Trauma and PTSD are real and prevalent and it seems like one of our society’s tenets is that “bygones should be bygones” It is over and done with so people can get over it already and move on. Unfortunately, life doesn’t work like that. Often, members in the military do not seek assistance because it seems weak and there is such stigma for a soldier to see help. A movie like this can remind people that the experiences for military individuals doesn’t end when they come home. It many times never ends. The movie showed the main character even talk to what I presume is a therapist at the VA. How awesome is it to give permission to a soldier that talking to a therapist might actually be helpful (gasp!) It would be so easy or neat in real life but the thought was there. The movie spotlighted the struggles families have. Not just the soldier dedicates their life and time to the military – their family is connected too and often not by their choice. The movie showed how even when the military member returns home – life doesn’t just go back to what the family considers normal. As much as I – with my peace sign tattoo and all – want a world where human rights are protected and we see everyone as part of one human world and there is no war – we aren’t there yet. I will continue to work and advocate for better lives for people but as many of the critiques said – Life is not black and white. American Sniper as well was not all good or bad. Life is ambiguous and full of both pain and joy. Keep writing and speaking about the things that are important to you and as I will also try – work on being OK with ambiguity and that there can be value in ideas and beliefs that may not be congruent with your own. One of the men I supervise often puts quotes on his instant messaging for the world to see. Today’s quote caught my attention. “Faith is the strength by which a shattered world shall emerge into the light.” Helen Keller. It struck me as beautiful. I don’t know what she was referring to us having faith in but I would argue it doesn’t matter. May she is talking about faith in God – that no matter what burdens fall upon you, you’ll be seen through your journey, have purpose and make it through. Maybe it is faith in human nature. Faith that in the end there is a part of our souls that shine with compassion and love and will make strides toward peace and happiness. Maybe it is faith in friends or family. Maybe it is faith that the sun will rise or tomorrow will come. Maybe it is faith in yourself that you are up to the challenges that arise and can overcome and live fully. I don’t know specifically what faith is being talked about but I know that faith is essential. (I know someone who is all about hope also believes faith is important! Who would have guessed! 🙂 ) I’m not sure but it seems to me that if we only believe in things we can see or touch or that have been ‘fact-checked” that we will not fully realize our potential. How do we take those jumps of intuition, creativity or genius if we don’t sometimes just take a leap of faith. How do we get through the darkest days if we don’t have faith that somehow we will be all right. Having faith in something intangible allows us to achieve greatness. I am not sure a person can live a full life without faith in something even if it is just that they will get through the day. As the hustle and bustle of holidays and our everyday life surrounds you, stop. Take a few minutes and think about what you hold dear. 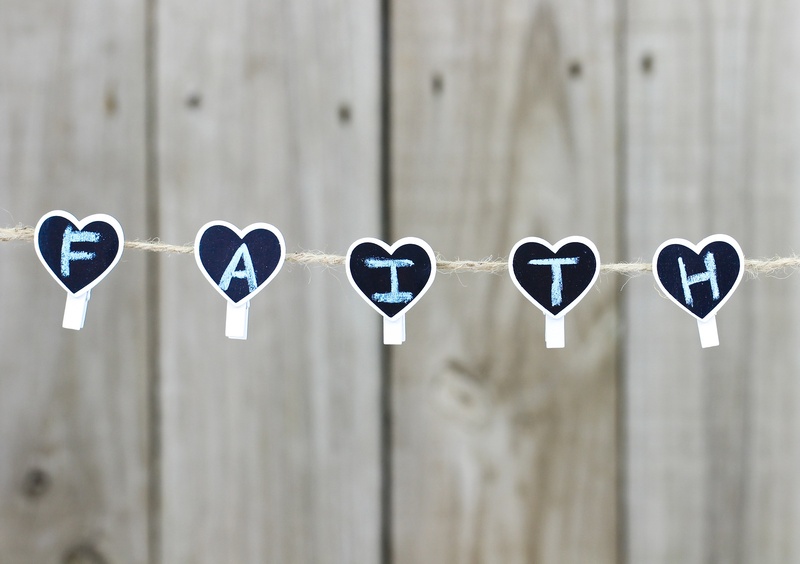 Don’t worry if other people scoff at where you choose to put your faith. It is your soul that chooses what is right for you. In what do you have faith? I know there are always those trolling comments but to read these are so disheartening. Generally – people do not want to die – even those who take their own lives. People want to not be in pain. I believe, that when someone commits suicide there is a moment, a moment when pain is so great and hope so missing that there really doesn’t seem like there are any other options. Even if you know intellectually that you have people in your life that love you and will deeply feel your loss that your emotions just don’t feel it. Suicide is not about weakness. It is about being strong for so very long and having a moment when it is too much. If you are someone who would lean toward the “I just don’t understand suicide – It is so selfish” belief. I encourage you to take a step back and feel gratitude that you have never been in that moment. Feel grateful that you have never felt such pain, loneliness or loss of hope that getting through to the next moment feels insurmountable. Learn about depression. Learn that it is not just about being sad or having a bad day. Share the information you learn and be available to those who may need the support. If you are someone in that pain – please hang on. Sometimes just getting to the next moment doesn’t make everything magically better but sometimes just enough hope comes back that you can keep going and even get the help you need. If you are this person contemplating suicide, consider letting your “everything is OK” facade down and ask someone to help you.